Variety is the spice of a great event! Sharing a banquet of fabulous Hors d’ Oeuvres allows you to blend flavors from ocean fresh seafood to international delicacies. Pleasing everyone on your guest list is easier when you can offer a delicious variety. Menu Pricing: $65 Per Person includes China, Silverware, Water Glass, Linens & Catering Staff! Service Charge & Sales Tax Apply. 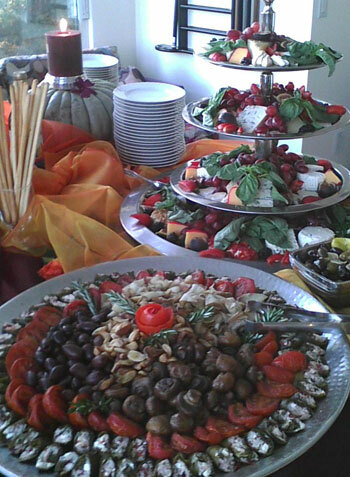 Above pricing is per person and includes buffet set-up, china, linen & full service.Pricing based on 100 guests or more. Smaller groups: Call for custom quote.